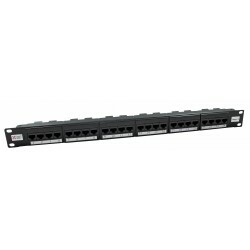 10" patch panel loaded with 8 Cat5e data ports and 4 ports designated to telephone. 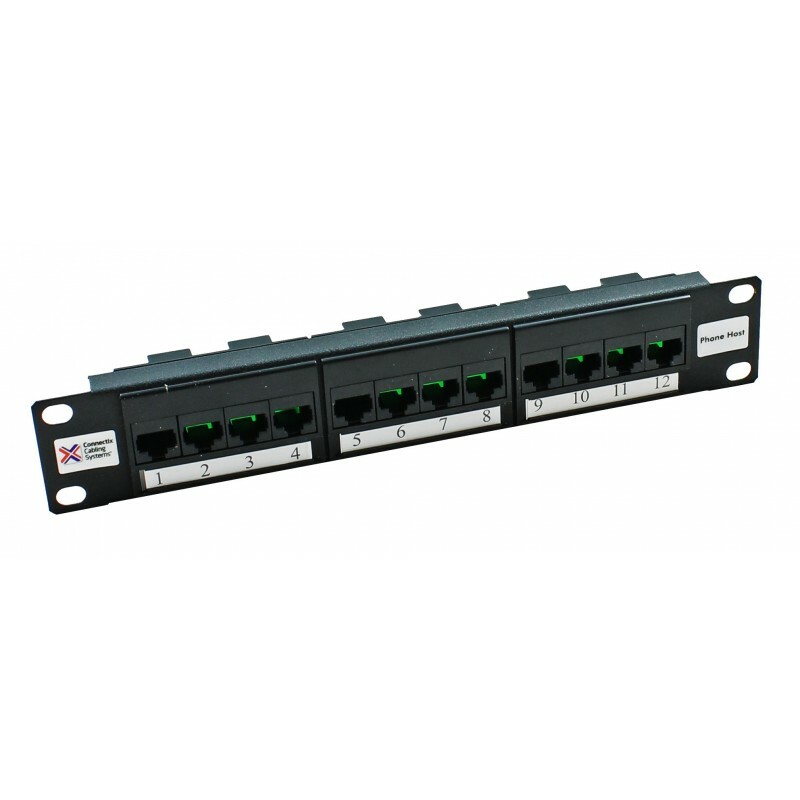 This panel allows the intergration of telephone over structured cabling to be done without having to use any additional panels. 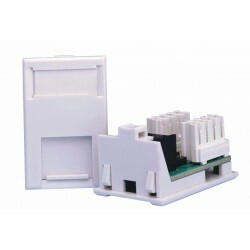 Allows one telephone line in, with four outputs.